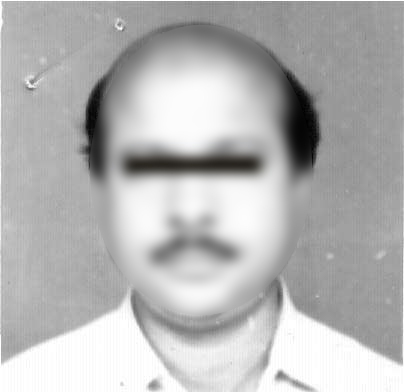 Photo of the patient Mr. B.K.M. 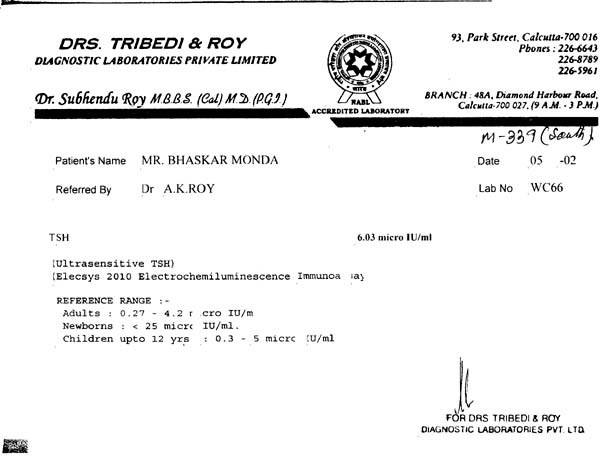 Blood report, 1 month after treatment. 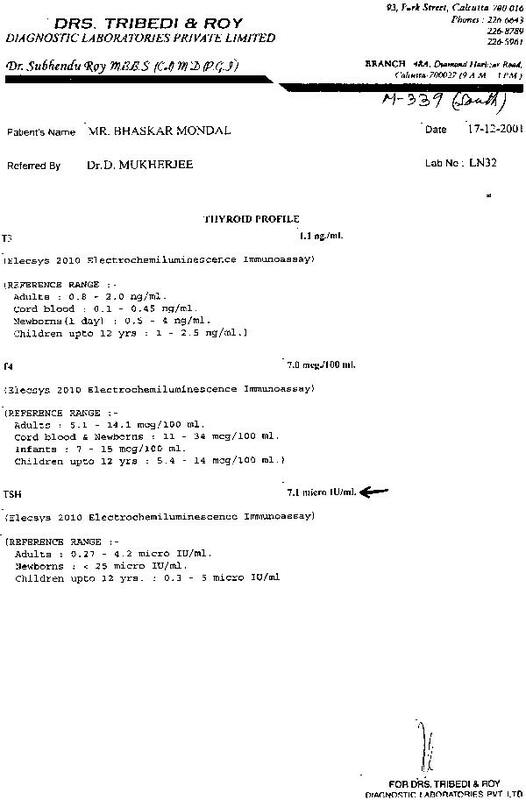 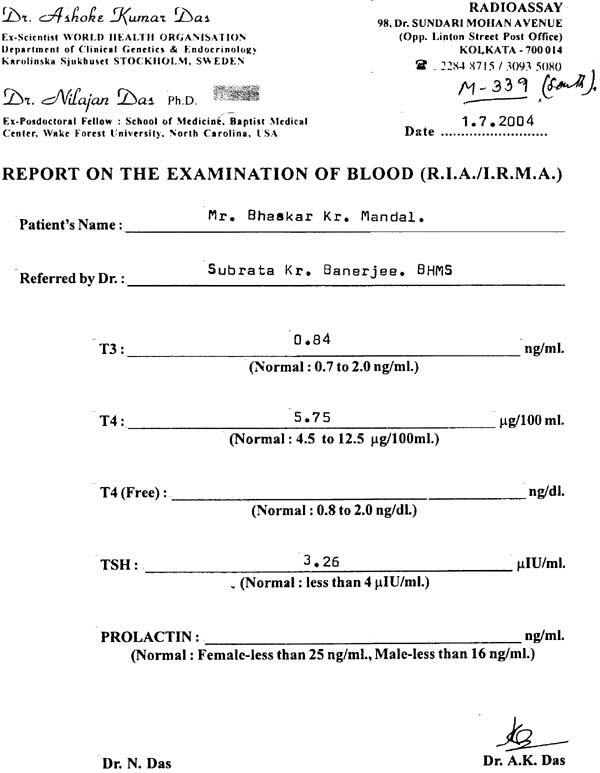 Blood report, 9 months after treatment. 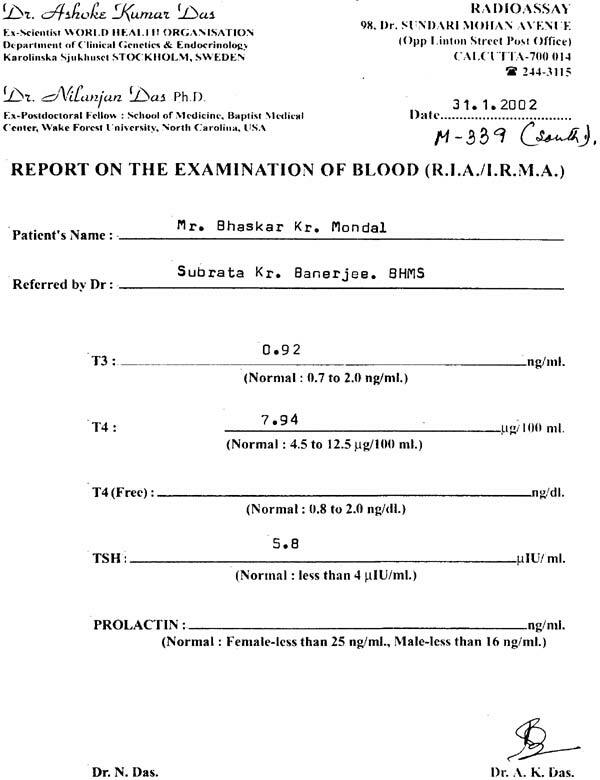 Blood report, 27 months after treatment.